The monitors measure the baby’s breathing through her abdominal movement. In the most recent model, PICO, it also monitors, body temperature and her position, and streams the information to your smartphone or tablet. 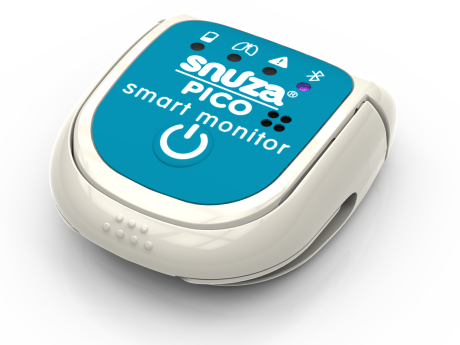 The manufacturer offers three baby movement monitors: Snuza Go! 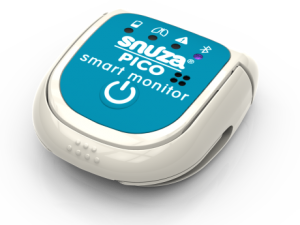 for $99.99, Snuza Hero for $119.99, and its latest and smallest monitor, Snuza Pico for $139.99. You can buy the monitors at Babies R Us, Buy Buy Baby, Target, and other retailers nationwide. For more information about Snuza, visit Snuza.com.